This trick here is one I used to share with my curly-haired clients trying to win the battle over frizz… Then I was trying to towel dry my hair the other day with a brand-new towel… (Well, washed once, but towels are SO hard to break in!!!) Needless to say, the towel wasn’t absorbing barely anything. I started using my blow dryer, and I was like– Okay. This is just going to put so much more heat on my hair than if it was properly dried… We cannot afford any more damage on our blonde Los Angeles locks! Then I remembered what I used to tell my clients w the curls… Duh! blot hair with paper towels after the shower! It soaks up SO much more water than any regular towel… Then when you move onto using heat, you will be drying 50% less water out of your hair. Yes, it will take quite a few paper towels, but do NOT dispose of them! Make one towel rack in your bathroom the “drying rack” for the paper towels. They dry perfectly and quickly and ready to use again within hours! (If you share your bathroom, then take a few of the drycleaning hangers used for slacks and hang the towels without hogging the towel bar…the cardboard bottom has a bit of “grip” and you can lay the paper towels over that part, they should stay and not slip off). 2) Use regular towel to dry hair as well as possible with it, squeezing with dry areas of the towel on different parts of your hair. 3) Take like 4-6 paper towels, folded on top of each other so it makes multiple layers but still the size of one. Blot all over your head and put around your length and squeeze over and over. You may need a second or third round… either way, hang them up to dry afterwards! 5) Be blonde and hot. 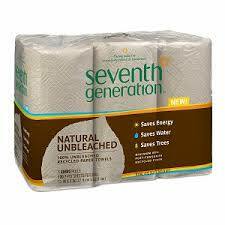 These are the most eco-friendly paper towels I know about…! ….And these are not! But they do last a lot longer when using then drying over and over again…. Remember, the whole point of this is to get your hair as DRY AS POSSIBLE before using heat on it! If you have a microfiber towel, a Shamwow or anything else that absorbs excess water, then use that and you’re on the right track! Be nice to your hair, ladies! Because that’s why people are so nice to you!! !